This book discusses how computers are shaping contemporary society, with a tight focus on the role of corporations and governments. It is aimed at government policymakers interested in economic development and at private-sector managers who routinely make decisions to acquire and use information technology, now a worldwide expenditure of over $2 trillion annually. The book will also interest a wide range of academics concerned with the sociology, history, economics, and the effects of IT on contemporary society, ands to the general trade market. James W. Cortada has thirty-five years of experience with IBM in various sales, consulting, and managerial positions related to information technology and its use. In particular, he helped design and deploy processes related to employee skills development, including IBM's worldwide consultant skills certification process, sales processes, and specialized training seminars. 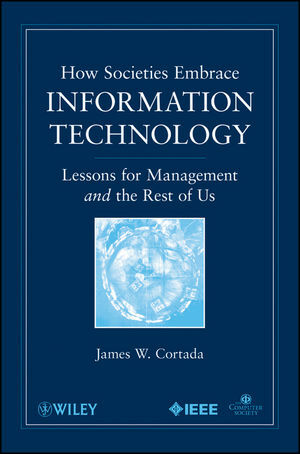 An author of more than fifty books on the management and history of information technology, Cortada's work has been translated into Spanish, Portuguese, Chinese, and Korean.